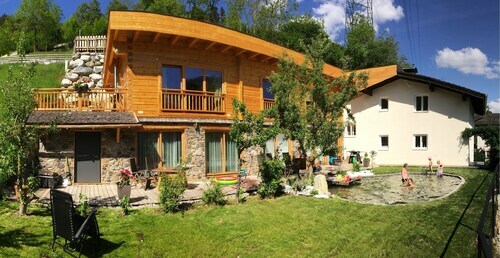 Situated in the mountains, this apartment building is 2.2 mi (3.6 km) from Landeck Castle and within 6 mi (10 km) of Venet Gondola and Zammer Lochputz. Schrofenstein Castle Ruins and Vanet Ski Area are also within 9 mi (15 km). Located near the slopes, this Fliess hotel is in the mountains and within 6 mi (10 km) of Landeck Castle, Vanet Ski Area, and Venet Gondola. Fendels-Ried Gondola and Zammer Lochputz are also within 9 mi (15 km). 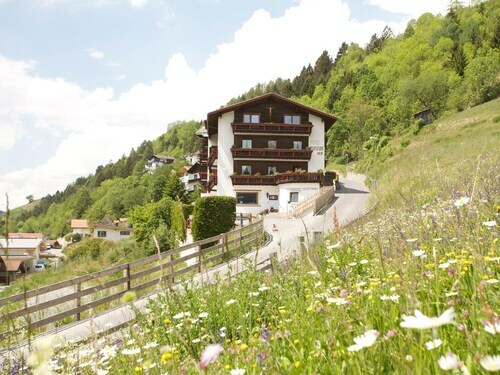 Located in the heart of Fliess, this hotel is within 9 mi (15 km) of Landeck Castle, Vanet Ski Area, and Fendels-Ried Gondola. Venet Gondola and Zammer Lochputz are also within 9 mi (15 km). Located near the slopes, this Fliess apartment building is within 6 mi (10 km) of Landeck Castle and Vanet Ski Area and close to winter sports such as cross-country skiing. Fendels-Ried Gondola and Venet Gondola are also within 9 mi (15 km). How Much is a Hotel Room in Fliess? Hotels in Fliess start at per night. Prices and availability subject to change. Additional terms may apply. Are you planning to journey to Landeck and need to find somewhere to put your feet up in Fliess? Travelocity has a wide range of options. Travelocity's modern portal contains 14 hotel options only a short drive from Fliess. While Fliess can't boast to being home to an extensive range of bases right near the heart of its urban center, Europa Pension Tirol should be handy enough to satisfy Travelocity readers. You should investigate the Kinderhotel St.Zeno as well as the Der Pitztaler Kirchenwirt. 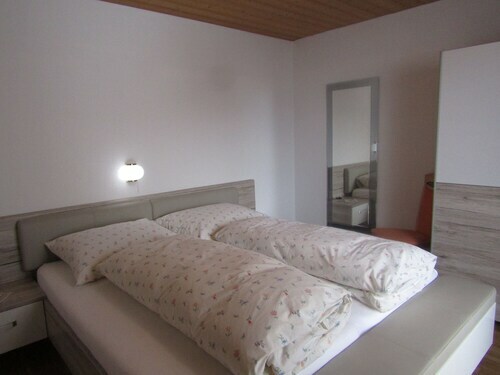 The Kinderhotel St.Zeno can be found just 6 miles (10 kilometers) from the main part of Fliess. The Der Pitztaler Kirchenwirt, is located 14 miles (23 kilometers) away. The Ferienschlössl as well as the Aktiv Panoramahotel Daniel are two more Travelocity-listed accommodation options around Fliess. Researching so you can get a little bit out of the center? Tirol is home to many beautiful things worth checking out. Discover Tirol's castles, old towns and historic palaces and be sure to fall in love with the region's rivers, streams, lakes and mountains. In this section of Austria travelers can take up the chance to partake in snowboarding and skiing. 20 miles (33 kilometers) away from Fliess, you'll find Paznaun, where you'll find Alpinarium Galtuer and Birkhahn Cable Car. When you spend any time in Paznaun, check out the rooms at the Hotel Fliana and Familyhotel Seiblishof. 5 miles (8 kilometers) south of Fliess, is Serfaus-Fiss-Ladis, which is home to the Hotel Riederhof and Hotel Toalstock. The Sonnen Ladis-Fiss Gondola and Moeseralm Gondola are more popular places to experience should you visit Serfaus-Fiss-Ladis. Give yourself a fix of local sport by making a journey to Bergisel Ski Jump, situated 35 miles (59 kilometers) to the east of Fliess. Enlightened travelers that enjoy the ease of staying close by, make a reservation in the The Penz Hotel or Hotel Seppl. Kranebitten Airport is 35 miles (56 kilometers) away from the city center of Fliess. Enlightened visitors who would like to stay close by can reserve a good option in the Best Western Plus Hotel Goldener Adler or Hotel Mondschein.